If even a few thousand of the state's 1 percent flee to nearby no-tax states such as Nevada or Texas, California could face a devastating shortfall in annual income. California's 40 million residents depend on less than 1 percent of the state's taxpayers to pay nearly half of the state income tax, which for California's highest tier of earners tops out at the nation's highest rate of 13.3 percent. California has again been experiencing rain and cold that could approach seasonal records. The state has been soaked by some 18 trillion gallons of rain in February alone. With still no effort to expand California's water-storage capacity, millions of acre-feet of runoff are once again cascading out to sea (and may be sorely missed next year). The inability to build reservoirs is especially tragic given that the state's high-speed-rail project has gobbled up more than $5 billion in funds without a single foot of track laid. The total cost soared from an original $40 billion promise to a projected $77 billion. To his credit, newly elected Gov. Gavin Newsom, fearing a budget catastrophe, canceled the statewide project while allowing a few miles of the quarter-built Central Valley "track to nowhere" to be finished. For years, high-speed rail has drained the state budget of transportation funds that might have easily updated nightmarish stretches of the Central Valley's Highway 99, or ensured that the nearby ossified Amtrak line became a modern two-track line. But the health, educational and legal costs associated with massive illegal immigration are squeezing the budget. About a third of the California budget goes to the state's Medicare program, Medi-Cal. Half the state's births are funded by Medi-Cal, and in nearly a third of those state-funded births, the mother is an undocumented immigrant. California is facing a perfect storm of homelessness. Its labyrinth of zoning and building regulations discourages low-cost housing. Its generous welfare benefits, non-enforcement of vagrancy and public health laws, and moderate climate draw in the homeless. Nearly one-third of the nation's welfare recipients live in the state, and nearly one in five live below the poverty line. The result is that tens of thousands of people live on the streets and sidewalks of the state's major cities, where primeval diseases such as typhus have reappeared. California's progressive government seems clueless how to deal with these issues, given that solutions such as low-cost housing and strict enforcement of health codes are seen as either too expensive or politically incorrect. No more. 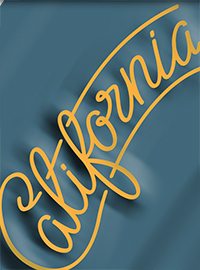 Californians may have once derided the state's 1 percent as selfish rich people. Now, they are praying that these heavily burdened taxpayers stay put and are willing to pay far more than what they had paid before.